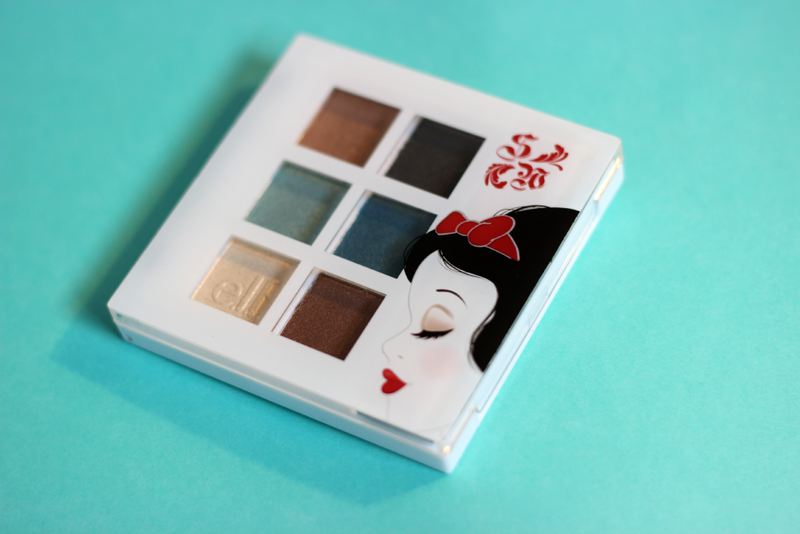 Hey everyone, today I have a fun post on one of the new Limited Edition Snow White sets from E.L.F. The recently released these sets at Walgreens, and I was so happy when I finally found them. But since I am such a sucker for eyes, I only picked up this eye collection. The packaging really caught my eye, as well as all the beautiful eyeshadows. The set comes with a eyeshadow palette containing 6 colors as well as a mascara for $4.99. Today I am only going to be talking about the palette its self because this was the thing I was the most excited about. 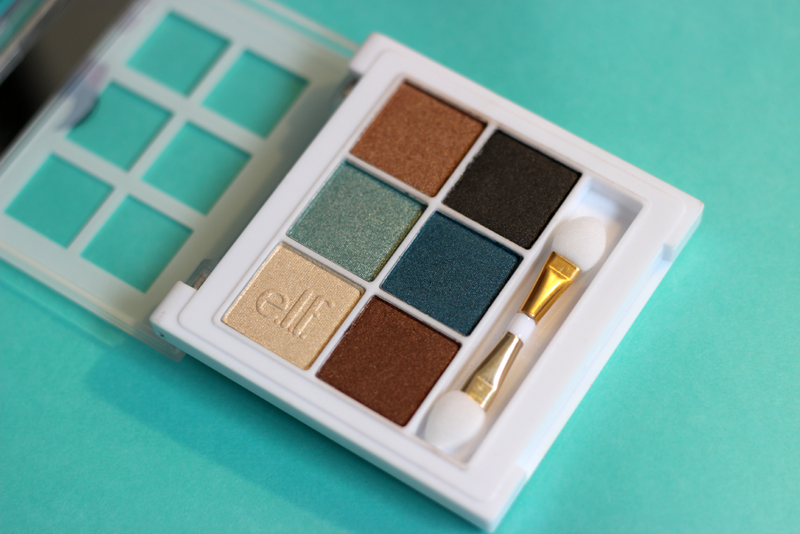 The palette comes with 6 beautiful shades including a light cream shade, a beautiful mint green color, a coppery brown, a dark brownie brown, a turquoise shade as well as a black. It also comes with a duo end eyeshadow brush. 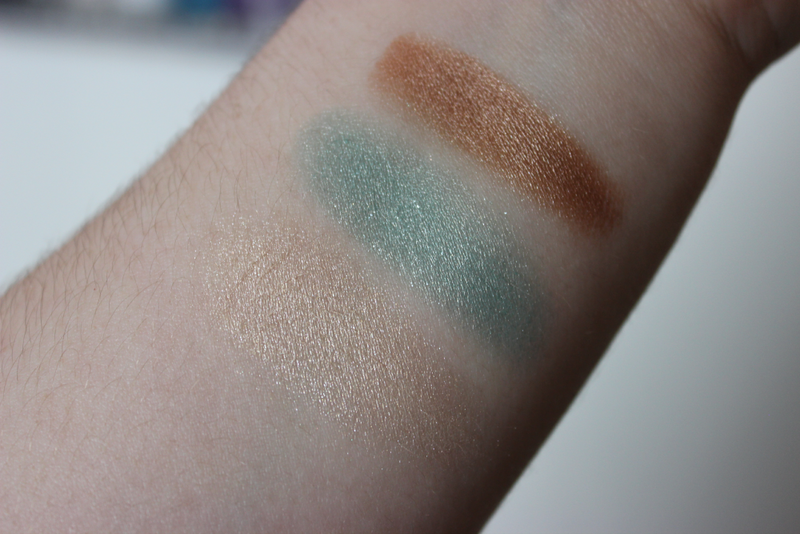 I was very impressed with how pigmented the shadows were. 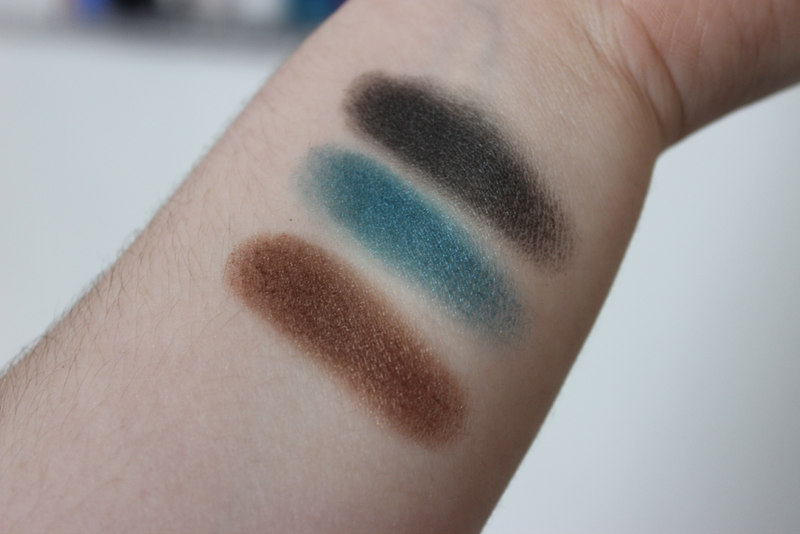 Also they have such a buttery texture so they are super blend-able and like I said the pigmentation is on point. 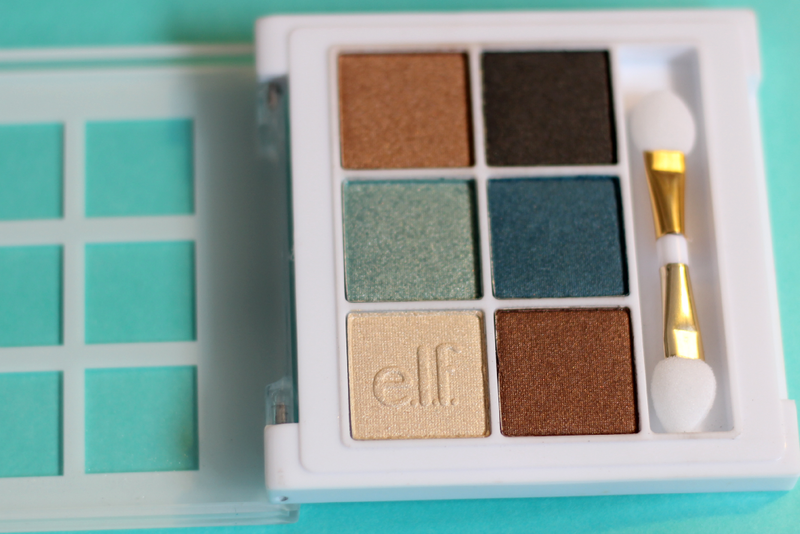 With E.L.F shadows, they sometimes lack pigmentation and can usually be very chalky, but with these eyeshadows I didn't notice any chalkiness. The only shade that I had to apply a lot of was the black, but overall it was still pigmented for a drug store shadow. Most of the shades a very shimmery so if you like shimmer you will love this palette. You can create such beautiful looks simply using the brown shades, or if you wanted a pop of color you have that mint green. Overall I would give this palette a A rating. It has the beautiful Snow White on the front, plus with the amazing quality of the shadows, I would highly recommend this palette! Me too! I really want to go out and buy the rest of the stuff not from this collection! Wow, this palette really has great quality! Me too! I wonder if they are going to release more!